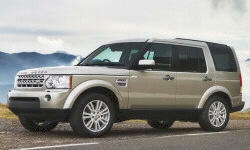 Land-Rover LR4 Pros and Cons | Page 1 of 1 | Why Not This Car? What drives people to buy (or not buy) a certain car? TrueDelta's members share Land-Rover LR4 pros and cons based on their real-world driving experiences. Distinctive Land Rover exterior, classic "boxiness" but with nice modern flourishes (3 sun roofs, split rear hatch-tail gate, stadium seating). It's a head turner. I was searching for a go any where vehicle that handled well when not off road. The Land Rover has a reputation of off road excellence. This is my first Land Rover and my off road experience has not been a disappointment.